To update have a look at the latest City Shopping Festival that will give a glimpse of how nightlife will looks and feel. As in the news, this 24×7 nightlife zones which was recently proposed by Aditya Thackeray was agreed by State Chief Minister Mr ‘Devendra Fadnavis’ and as been said was already proposed by BMC during congress government, but was not approved due to some or many reasons. Today the plan to to keep city on toes round a clock for entertainment and fun to get a life as youth and others need for city was backed and supported by many political leaders like Sunil Prabhu, Arvind Sawant, Makrand Narvekar, Rahul Shewale and others along with Bollywood celebrities and famous DJ’s rocking their musical mind late night at various Discotheques and Pubs of Mumbai. As of writing this post in February 2015, the planning stage has got very good response and it seems like the Hotel and Restaurant Association of Western India be getting a relief sign with the news as the old and outdated British era’s archaic laws are not friendly and easy enough to get a hotel business set up up and running without more than 100 different permits and hurdles, which also attracts corruption and bribe. Once the 24/7 open zones starts, it will automatically push away the illegal late night food joints sometimes seen operating around and will give space to those license vendors at street side near railway stations and National Highways to attract common man of Mumbai to explore and live their life too. Of course the rich people too love to park their car aside this Khau Gulli’s for that awesome taste and fun of food. The only option as of day to enjoy the nightlife was those expensive sea facing lounges, pubs running till late nights and early morning 1:00 Am or Hunt for those late night food corners in city. Another typical day if citizen gets to enjoy the Nights of Mumbai is the 31st December Night. 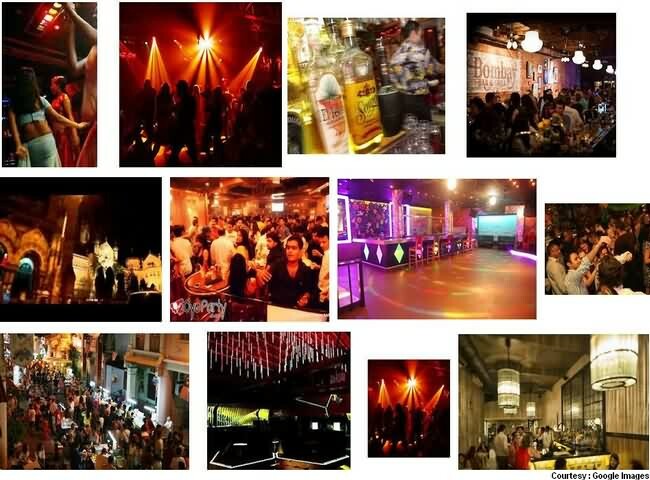 Balancing the proposal happiness for all class of citizens in Mumbai, It is decided that major pubs, lounges etc will be allowed to be kept open at above listed zones, including bars at malls at Non-Residential locations. On the other end the small and medium level expenses stalls and night joints will be allowed near railway stations and around Off National Highways for budgeted parties for equal fun and happiness with friends and family. Those identities to remain open for 24/7 will be Cafeterias, Hotels, Malls, Pharmacies and Milk and Milk products shops in city. More or less will be added on the list of all the above details and will be updated here as soon finalized. As said currently their are limits to your boos, fun and party time inside pubs and lounges of Mumbai, The exact locations which will be allowed to open 24×7 is yet to be decided. But it is clear that the residential locations will not be declared as Nightlife Locations and with the active citizens who want to enjoy in shining dark’s of city, The not so active or totally inactive citizens who don’t want to enjoy nightlife will also be taken care of. What i mean here is that not every individual wants to rock and roll at nights, So Mumbai police will go along with proposed plans if not disturbing anyone life by only allowing permits at locations which are feasible accordingly. Security measures for the to be approved zones and locations will be taken extra care of and it looks like Mumbai Traffic Police may need to be involved actively to carry out regulations and few already successful missions like ‘NO DRINK and DRIVE’ and Women safety throughout night. Non active patrons travelling late night will also be taken care of by Mumbai police who will keep watch on those who will make nuisance after party. Major commercial locations which do not have residential localities like Nariman Point, Kala Ghoda and Marine Drive in South Mumbai, While BKC and Carter Road at Bandra, and Various other Malls at SOBO and Western Suburbs. I hope the list gets extended and the residents of Mira-Bhayander and Vasai Virar too get such night options. 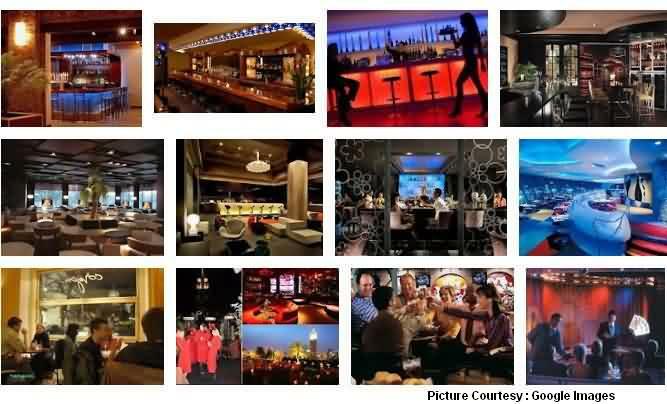 When it comes to location Andheri’s Lokhandwala complex is the one which needs to be on top of the list, But its the time and decision of authorities if such nightlife be pertained and allowed in or around this elite residential location or not. See details on various locations in Mumbai. There are various aspects if one thinks of a pros or cons factors considering Mumbai city open round the clock. As police authority confirms the safety of women and other patrons including considering the interest of non-party goers who likes to stay back home in peace and serenity instead. Major youth crowd and working class has given a positive response for such a night lifestyle and things seems to be exciting overall, Yet lets check on both of the possibilities. Pros : A biggest plus on night tourism as entertainment options with eateries increases. Many foreign / international tourist gets surely upset on the current nightlife of the so called capital and rocking city Mumbai which is also said in contradictory that it never sleeps. No doubt about the day time options for tourists, Yet night has lots of limits in itself due to the resent decades terror attacks mostly targeting Mumbai. Tourist will love to spend few more days and money in city if the propose plan gets on well. This will increase government and tourism industry revenue too. Another positive sign will the smile on face of those middle class working party goers, major travelling for minimum an hour or two and gets hardly a day to party hard to get free finally by 10:30 to 11:00 PM hitting the lounges and pubs for some fun and leisure. Since the current nightlife deadline don’t permit beyond 1:00 to 1:30 Am, the time limit of 1 or 2 hours to party is hardly enough to set one’s mood on roll to relax, cheer and rejuvenate from days stress. Although the hotel industry is the most to benefit from this move, Another good news on more and more job openings will be seen on flexible hours at these 24×7 zones. Music industry and Bollywood has a extra reasons to cheer about as all this places will mostly have music running born in the same entertaining capital city of India. Cons : More security and safety of every individual and not just women from those nasty party goers who are rude once drunk and shows off their money for everything and have no or less fear of law. More stricter rules needs to be considered for Drink Driving with equal number of traffic police around city to check and take care of. Considering all the cases that happened recently, Auto and Taxi drivers to be kept special checks as chances of over charging and refusals are highest at night which puts off the mood of citizens and can create an unpleasant scene too. Will Mumbai railway authority consider trains movement parallel for 24/7 ? At least a train every half and hour between 12:30 and morning 4:00 Am on western railway route ? Because not everyone have a car, Or the party goer group will consider not driving and commuting via train or cabs instead if coming from distance area in central Mumbai, Thane or Navi-Mumbai location. Cons of Nightlife can be handled if all this things and more such things like terror etc be taken care of. Lets hope for the best as majority are happy with the move. Its our duty too to keep city safe along with clean during nights too. Let your views come down on this page via comment box. 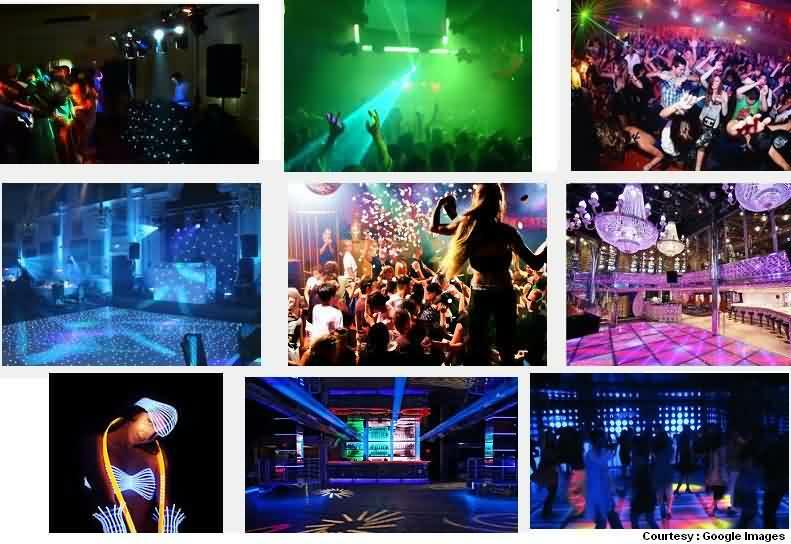 What do you think should or should not be done to get best for the proposed Nightlife zones and to live life at fullest and let city rock Nights and Days. Cross fingers to ‘Work Hard and Party Hard Concept’, What say ?